Aries is the first zodiac sign. Aries-born individuals are born in the dates between March 21 and April 19. The sun sign Aries is symbolized by the pointed head of the Ram. Zodiac signs play an important role in astrology. The zodiac signs are assigned their own ruling planets. Some zodiac signs or astrological signs may have the same ruling planet. In the case of Aries, the ruling planet is Mars. Mars is associated with boldness, vitality, and energy. Moreover, zodiac signs bear one of the four elements which make up the universe. The four elements are water, fire, air, and earth. The element will give the overall temperament of a person under a given zodiac sign. Aries is under the fire sign which bestows the Aries zodiac sign with a strong extrovert temperament. The Mars-ruled fire sign of Aries the Ram will play a direct influence when it comes to predicting compatible signs for Aries and Aries personality traits. The term “zodiac sign” are called astrological sign, sun sign, star sign, birth sign, or a planet sign. Each zodiac sign will have its corresponding set of personality traits. The personality traits are all determined by the combination of the ruling planet, element, and modality of the astrological sign. The key personality traits of each sign are then ultimately used to construct astrological compatibility cusps or charts. These compatibility charts will show the most likely outcomes of relationships between two different sun sign pairings. The most popular and widely used astrological tool, the horoscope, is also related to birth signs. The detailed tracking and charting the movement of the sun with respect to the stars will generate the figure of an elliptic. When this elliptic is charted and tracked for an entire year, then the layer of sky on the elliptic area becomes the zodiac. The thirty-degree arc measured off from the zodiac circle corresponds to a certain zodiac sign. Thus, the zodiac sign is the exact position of the sun (with respect to the stars) during the time of year when an individual was born. Aries the Ram is the first thirty-degree arc of the zodiac circle. Famous personalities who were born under the sun sign Aries: Al Gore, Alec Baldwin, Mariah Carey, Jackie Chan, Russell Crowe, Robert Downey Jr., Ashley Judd, Vincent Van Gogh, Christopher Walken, Jamie Lee Curtis, Kevin Spacey, Jennifer Aniston, George Clooney, Rene Zellweger, Kevin Costner, Eric Clapton, Russell Crowe, Leonardo da Vinci, Samuel R. Delany, and Robert Frost. The Aries personality traits are associated with the element of fire-ruled Mars in Western astrology. This startling and fiery combination gives rise to the characteristic fierceness, candor, adventure-seeking ways, and warmth exhibited by a typical Aries. 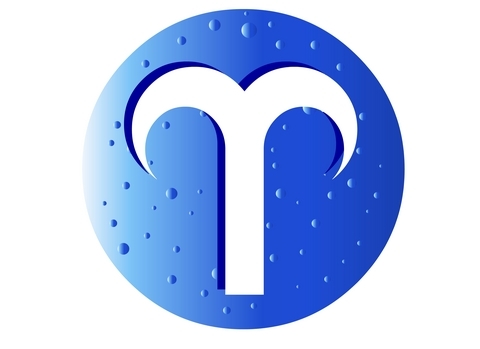 Aries the Ram is characterized by an extroverted personality who values new ideas and daring adventures. The Aries is also known to have a daredevil streak. Challenges and complicated situations usually pose a great deal of attractiveness to the Aries. Thus, Aries-born individuals are practitioners of extreme sports, revolutionaries, and seasoned politicians. At the same time that the Aries shows independence, assertiveness, and carefree ways, Aries-born individuals are also known to be naïve. The Aries is quite trusting and can be lead easily. The sun sign Aries is a very masculine astrological sign. Thus, the typical Aries usually excels in sports. As a matter of fact, some of the best athletes in the world are born under the sign of Aries. Aries women are particularly forceful and dynamic, too. What is interesting to note is that Aries-born women carry a very strong masculine sign and this makes them very adventurous, competitive, and independent. The Aries has quite an overpowering urge to answer challenges or to be involved in the most complicated of situations. This natural Arian tendency almost always results to making impulsive and reckless decisions. Another dominant personality trait of an Aries is his or her almost uncontrollable tendency to talk and to interact with other people. The Aries Leo compatibility is considered to be one of the best among the different zodiac sign pairings. These two birth signs are fully expected to enjoy a splendid physical chemistry and strong emotional connection. In addition, Leo and Aries are extrovert signs so they will share the need to mingle with new people and to travel to many exciting places. Both are outgoing, freedom-loving, and adventure-seeking. This relationship will, indeed, lead to a satisfying and enjoyable relationship. The Aries and the Leo will enjoy many glamorous parties and extravagant travels together. Their fun-filled adventures will be the high points in their relationship. Aries and Leo are two dominant birth signs so their only potential clash will be during instances that involve their pride. The Leo is the most dominant zodiac sign and the Aries is quite a daredevil. This pairing can even be considered as a very dangerous combination because the pair’s bravado can put them in compromising situations or even ones that involve real physical trouble. During heated discussions or disagreements, nobody will want to back down and give way to the other. But other than that, these two zodiac signs will share many things in common. Even the things that they dislike, such as penny-pinching and domesticity, are also the same. The Aries Leo compatibility usually leads to a strong and happy marriage. The Aries Gemini compatibility is one of the best pairings for an Aries. In this relationship, both parties will never bore each other because Aries-born and Gemini-born individuals love to mingle and to talk. Moreover, they share a restless and outgoing temperament. During the course of their relationship, the Aries and the Gemini will enjoy many adventure-filled trips and glamorous parties together and will constantly be surrounded by new people. What’s interesting to note in an Aries Gemini compatibility is that the typical Gemini is always clever enough to complement the natural tendency of an Aries to dominate. The playful Gemini may seek other mates during the course of the relationship but he or she will certainly be discreet about it. The minds of an Aries and a Gemini mesh well, too. They can relate to the motivations of one another. The Aries is full of life and intelligent and the Gemini is adaptable and ingenious. The prospect of an Aries and a Gemini marriage is a good one, indeed, provided that the Gemini will minimize or curb his or her extremely flirtatious ways which might bring out the aggressiveness of an Aries. The Libra’s personality traits of frequent socializing, tolerance, rational-thinking, and level-headedness may not do well with the fire sign of the sun sign Aries. Aries-born individuals have a natural tendency to stir things up. The Libra, on the other hand, will constantly strive for balance and harmony as represented by the Scales of Balance. Libra is definitely not one of the compatible signs for Aries. The Aries will find the people-pleasing nature of a typical Libra to be too annoying. This astrological sign pairing will most likely start off as a very passionate love affair due to the excellent physical chemistry between an Aries and a Libra. During the early stages of the relationship, they will really feel that they were made for each other. But when their overwhelming incompatibilities will rear their heads later on, then the relationship will not last very long. The Aries and Libra relationship might work if both parties will, of course, make a conscious mutual effort to tolerate each other’s differences. All in all, their compatibility when it comes to a love match is only average at best. These two zodiac signs are fascinated with one another during the early stages of the relationship. The Cancer Aries cusp is marred by a staggering amount of incompatibilities. The amazing physical chemistry between an Aries and a Cancer will be overshadowed by the many differences in their temperaments. The typical Aries is a daredevil while a Cancer is cautious. Heated discussions might ensue whenever they need to make decisions as a couple. Aries the Ram is very outgoing, adventure-seeking, and highly extroverted. An Aries will not want to be tied down by convention, commitment, or anything that is routine. Cancer, on the other hand, loves homeliness and domesticity. A Cancer will value the sense of security more than anything else. Cancer is definitely not one of the compatible signs for Aries. Resentment will soon build up in this pairing because of their frequent bickering even on the most mundane of matters. Moreover, the tactlessness and candor of an Aries will constantly torment the emotionally sensitive Cancer. This relationship is expected to be a short-lived and a disagreement-filled affair. The Virgo and Aries birth sign compatibility exemplify honesty and candor. There is certainly an element of attraction in this pairing but it is not expected to last. Cosmically speaking, Virgo is not one of the compatible signs for Aries. In fact, Virgo has the worst compatibility for Aries. Aries-born individuals are impervious to criticism. The Virgo sun sign, on the other hand, is always quick to criticize and to find fault. A classic Virgo-born individual has a natural tendency to nag which may not be a good combination for the aggressive temperament of an Aries. In addition, an Aries will have impulsive tendencies that will be at odds with the highly analytical ways of a typical Virgo. An Aries favors challenges and is always inclined to make bold moves. A Virgo, on the other hand, wants order and convention. The worrisome nature of a Virgo will also complicate the disagreement-filled relationship with the reckless Aries. Furthermore, when it comes to money matters, an Aries is normally extravagant and loves heavy spending while a Virgo is always stingy and practical. The Virgo zodiac compatibility with Aries the Ram will work only if both parties make a conscious mutual effort to tolerate one another. The birth sign compatibility of an Aries and a Taurus is characterized by a very poor compatibility. These two zodiac signs are sensual in nature, but the Taurus is unimaginative and deliberate which will be a turn off for a typical Aries. The Aries will want variety, will seek new and challenging ways, and the plodding nature of Taurus will make the Aries lose his or her interest. In financial matters, Taurus is thrifty and remarkable when it comes to managing his or her finances. The Aries, on the other hand, is extravagant and will make most of his or her buying decisions in haste, sometimes even without thinking about them. Taurus is definitely not one of the compatible signs for Aries. A Taurus-born person feels secure and contented in a domestic setting while an Aries is extremely freedom-loving, outgoing, and adventure-seeking. The moments of balance achieved in a Taurus Aries cusp are quite short-lived and are almost nonexistent. During the course of their relationship, the two sun signs will disagree over a lot of things. They will be at odds with financial matters and commitment-driven plans. The prospect of a happy marriage involving a Taurus and an Aries might be workable at some points in the relationship, but there must be tremendous effort from both parties to forgive, to understand, and to tolerate one another. The Scorpio Aries compatibility when it comes to a relationship usually leads to an unstable partnership which has an unpredictable outcome. The Aries Scorpio compatibility is either enhanced or downgraded depending on the circumstances surrounding their relationship. The pairing between these two astrological signs will probably start off as a passionate love affair because of their energetic and sensual nature. It is the emotional aspect of the relationship that they will not be able to manage properly. Both Aries and Scorpio possess a strong and forceful personality; each of them will have a tendency to control one another. In the Aries Scorpio compatibility, the jealousy of Scorpio will take center stage. The diverse outside interests of the outgoing Aries will lead to Scorpio feeling insecure and neglected. When a typical Scorpio is upset, his or her tyrannical streak becomes exposed. Heated discussions will happen frequently in this astrological sign pairing. The Aries will not take orders from the jealous Scorpio and the Scorpio will not back down either. All in all, the Scorpio Aries compatibility is a very volatile arrangement and marked by an average compatibility at best. Capricorn is not one of the compatible signs for Aries. The sun sign Aries has a taste for innovation and experimenting which will not suit the conservative and conventional nature of a typical Capricorn. An Aries is restless, impulsive, and fiery. A Capricorn, on the other hand, is practical and has a strong sense of commitment and order. Moreover, the need to dominate is inherent in a Capricorn and an Aries. This temperament will result to friction and heated arguments in the relationship. Another source of misunderstanding in an Aries and Capricorn relationship is their opposing outlook when it comes to financial matters. A typical Aries is extravagant and loves lavish spending. A Capricorn is practical and prioritizes security. The pairing of these two astrological signs is expected to be a rocky and unstable relationship. The relationship might work and last provided that both parties exert a conscious and mutual effort to tolerate each other’s differences. Cosmically speaking, the zodiac sign compatibility between Aries the Ram and Capricorn is a weak one. Sagittarius is one of the most compatible signs for Aries. In fact, it is the best compatibility to an Aries. The Sagittarius Aries cusp is expected to be an enduring and satisfying union for both birth signs. The Mars-Jupiter pairing of these two astrological signs is an ideal love match because both of them are socially active, lavish, very spontaneous, and fun-loving. In terms of temperament, the Aries Sagittarius compatibility is also a perfect match. 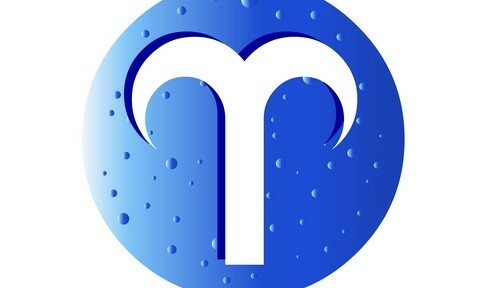 People who bear the sign of Aries the Ram are candid, tactless, and quick when it comes to decision making – personality traits which will generally endear them to their Sagittarius partner. The characteristics of the sun sign Aries are competitiveness and impulsiveness. The typical Aries normally turns out to be a brave leader or a remarkable sportsman. Furthermore, the Arian’s recklessness and bold moves is something that the equally restless and outgoing Sagittarius can relate to. Arians are also very optimistic and possess a great sense of humor; this will complement and even quell the Sagittarian’s tendency to start arguments and to stir things up. Cosmically speaking, the Aries Sagittarius compatibility is expected to forge a strong, happy, and enduring relationship. The temperaments of Aquarius and Aries the Ram are well suited. Aquarius and Aries are active, outgoing, and ambitious. They also enjoy a diverse range of interests. The Aquarius, depending on his or her whim, may or may not allow Aries to take the lead. These two birth signs are independent and highly extroverted signs, although Aquarius is far more independent compared to Aries. The self-sufficiency of an Aquarius when it comes to finding self-fulfillment and happiness will eventually lead to Aries feeling neglected during many points in the course of their relationship. The Aries will find the unpredictability of Aquarius to be exciting and endearing. The daring nature of Aries can definitely relate to the restlessness of an Aquarius. That will keep the Arian’s high level of interest towards the Aquarius. It can even be a factor to make them bond together. If understanding and mutual respect are injected into the relationship, then the pairing of Aries and Aquarius can certainly be a fulfilling and enjoyable relationship. The Pisces Aries cusp is marred by incompatibilities. As a matter of fact, Pisces is the worst compatibility match for Aries. Pisces-born individuals are calm, fickle-minded, and very emotional. Those that bear the sun sign Aries, on the other hand, are tactless, blunt, and very candid. Moreover, Arians are quick when it comes to formulating decisions while Pisceans are the exact opposite. This staggering incompatibility will be a constant source of heated discussions during the course of the relationship. Arians are also very aggressive and impulsive; Pisceans are affectionate and gregarious. Aries the Ram is a fire sign which represents aggression; Pisces is a water sign which symbolizes serenity. The honesty and candor of a typical Aries can certainly charm the Pisces during the early stages of the relationship. But the only way for a relationship between a Pisces and an Aries to work is for both parties to learn to deal with their personal differences. The clashing personalities of the Pisces Aries cusp can be harnessed to complement each other’s failings in order to achieve an enjoyable relationship. The female Pisces can even provide a serious ego-boosting to the male Aries, while the female Aries will provide the strength and decisiveness to the fickle-minded male Pisces.